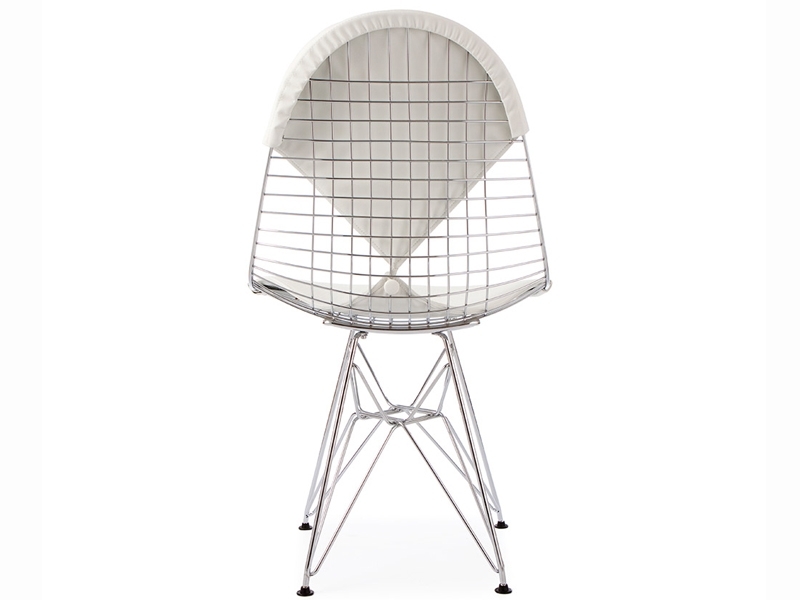 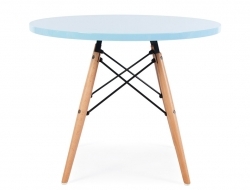 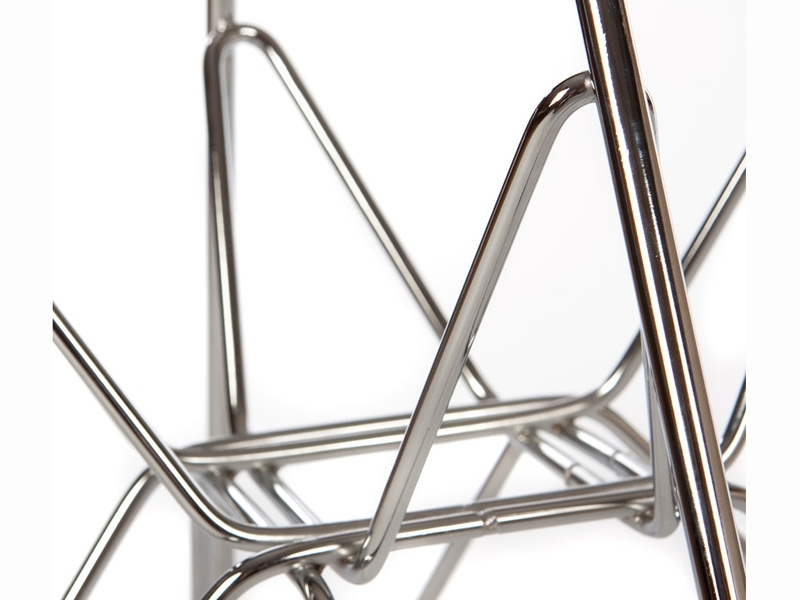 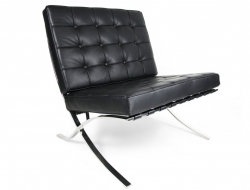 The DKR Bikini Chair was originally designed by Ray & Charles Eames in 1951. 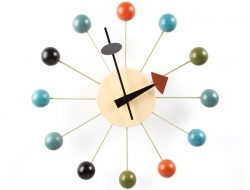 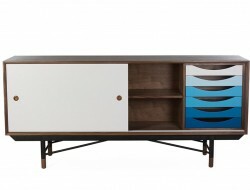 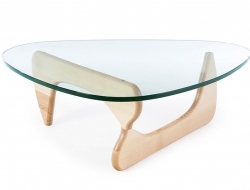 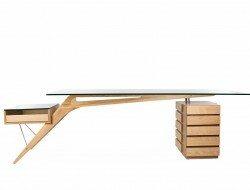 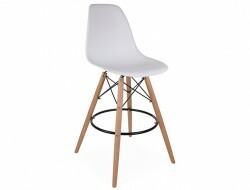 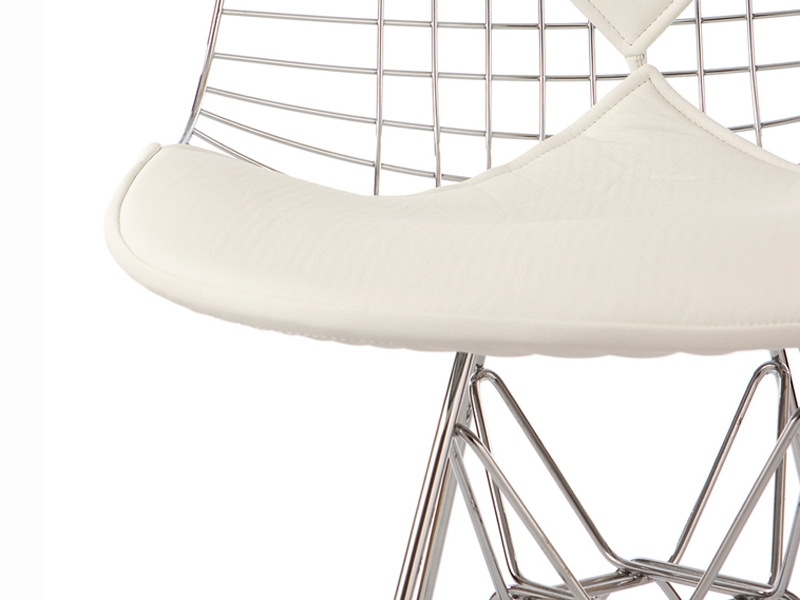 Talk about the Eames range and, sooner or later, you’re going to mention the curves and the symmetry. 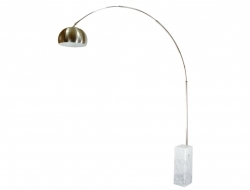 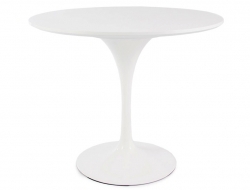 There’s a very elegant, feminine quality to so much of their design. 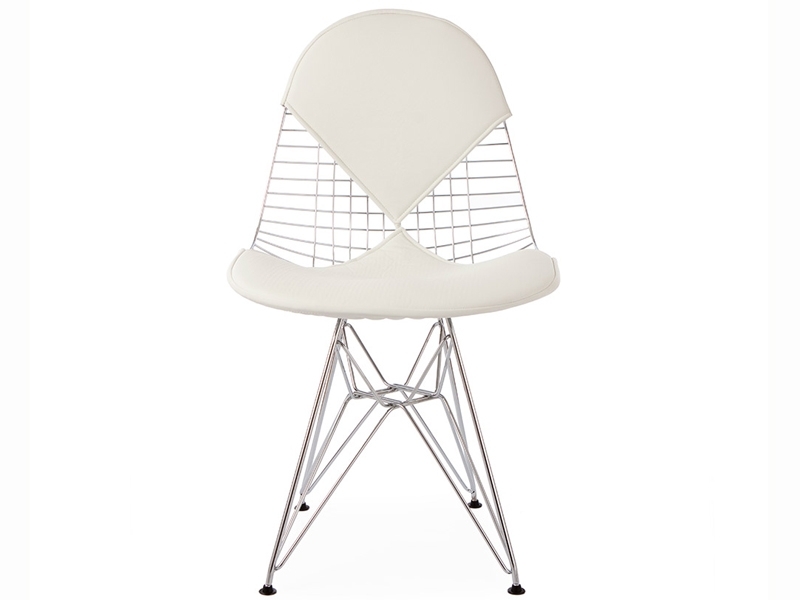 In creating the DKR Bikini Chair, Charles Eames, made a recall to show its devotion for curves, symmetry and the art of using and matching materials such as chrome and leather. 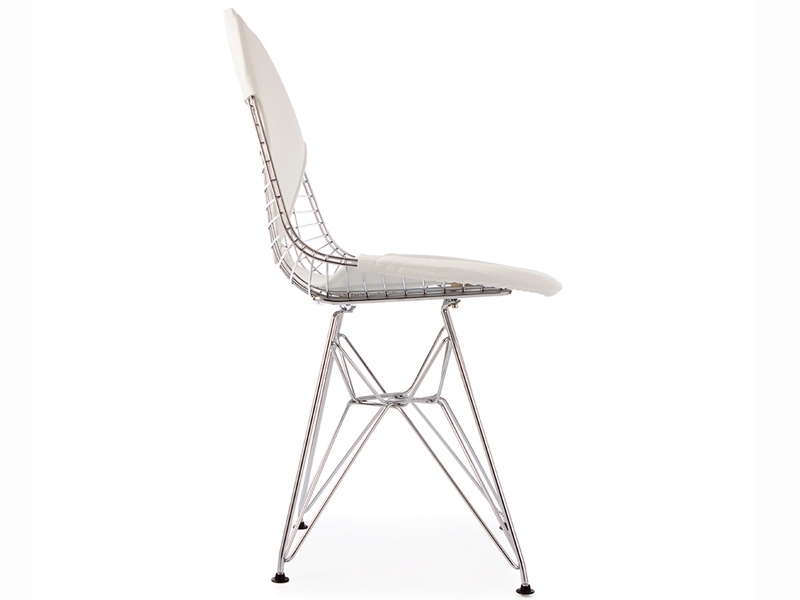 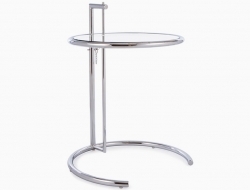 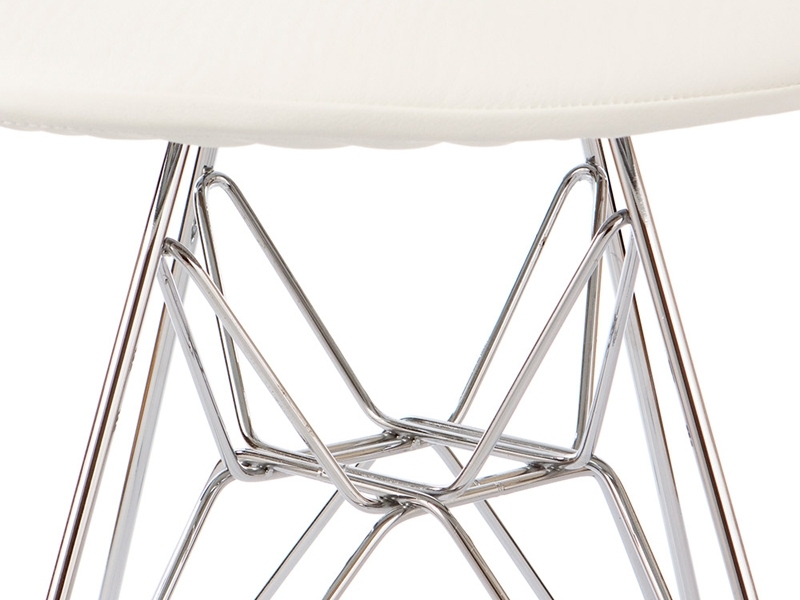 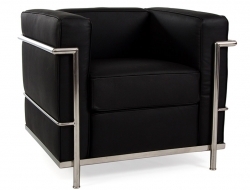 The symmetric chrome structure gives the chair an elegant and stylish aspect ; while the Eiffel Tower supporting structure in chrome steel make the chair stable and durable. 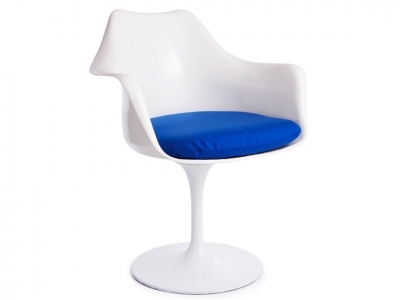 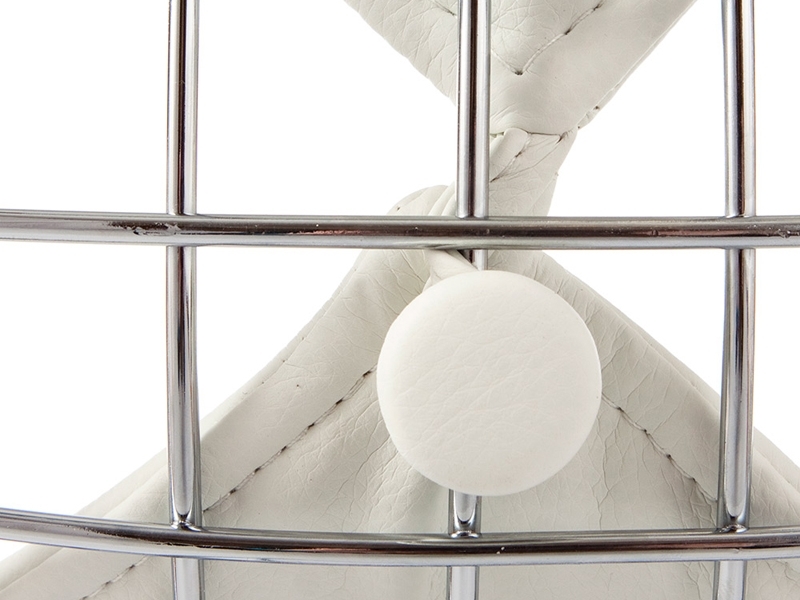 The white seat pad gives comfort and modernity. 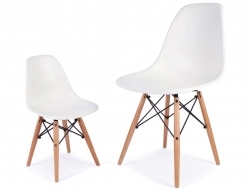 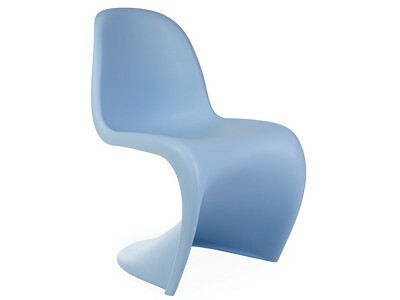 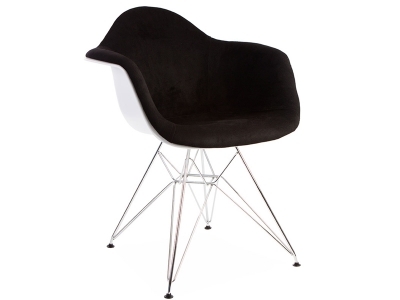 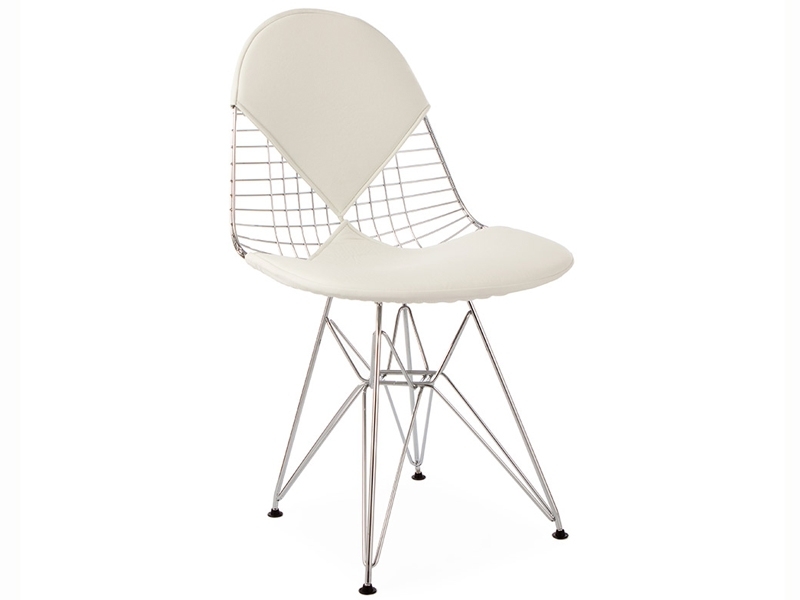 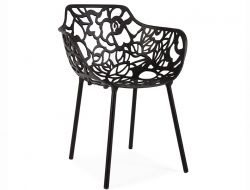 A high reproduction quality of the Eames DKR Chair.